Home / Local Events / Mixed Bag / Relationships / women / Ladies Night- A grand Success ! Ladies Night- A grand Success ! 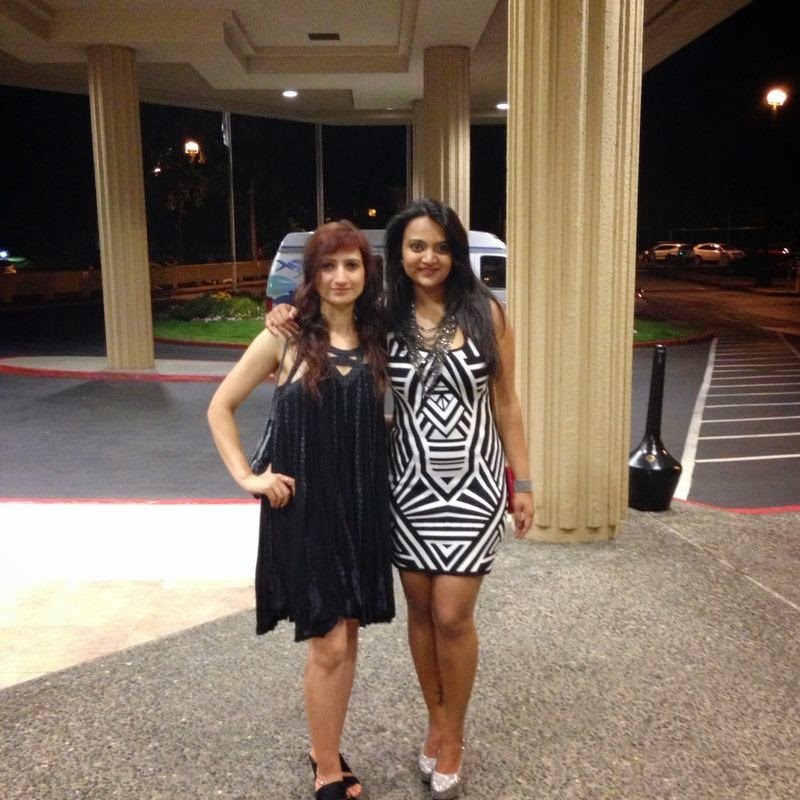 Last saturday beautiful women around Seattle all joined together at Hilton Bellevue with the only one motive to let their hair down and have nothing but FUN. As soon as we entered the venue, there was a red carpet photo-shoot which gave us a celebrity-like feeling ! Most of us were shy for few seconds but very soon we hushed it off, smiled and posed like celebrities! Click Click ! Thanks to the AWESOME photographer KIRAN ! There were few booths for jewelry and apparels. 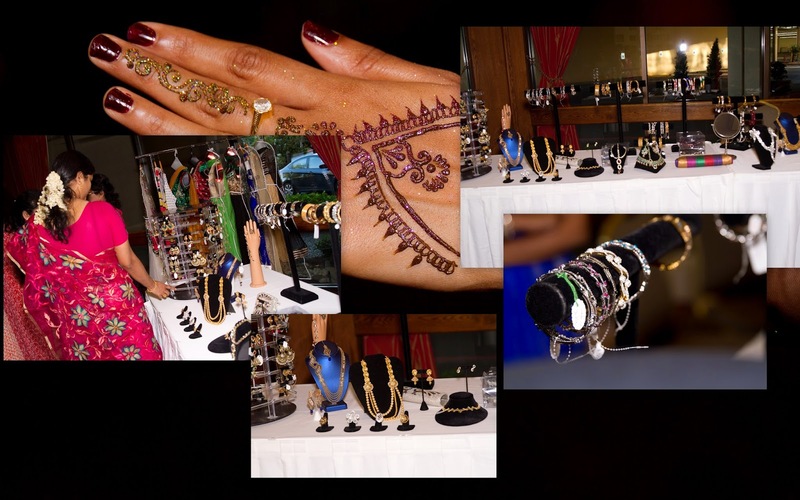 Few ladies waited for their turn to get glittering mehendi applied, while others shopped. My friend was filling a small form for a lucky draw. I was drawn towards the lavish buffet in the food section. Rain or Shine there is nothing like enjoying a nice hot indian tea :) with appetizers like Babycorn manchurian, spring rolls, pakoras, chicken dry, Gobi Manchurian. Slurrppp ! The banquet hall looked lavishly beautiful and elegant with all white round tables surrounding the dance floor. The small white candles added that little special touch. In no time the hall was filled with ladies all laughing talking and enjoying the food. It was a good idea to keep dinner open from the beginning so that we could get all we need and sit comfortably in the royal seats and enjoy the show without any interruptions. 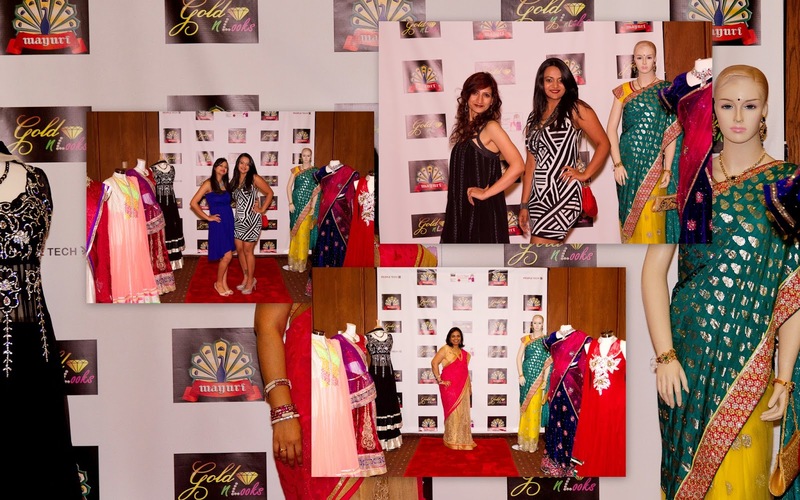 Madhuri Akula the owner of Gold N looks, also the brain behind this show started the event by thanking everyone for being a part of SEATTLE's FIRST LADIES NIGHT. She introduced Nithya Bayya, a well known singer who flew from California to rock the show with her melodious voice and also to anchor the show. 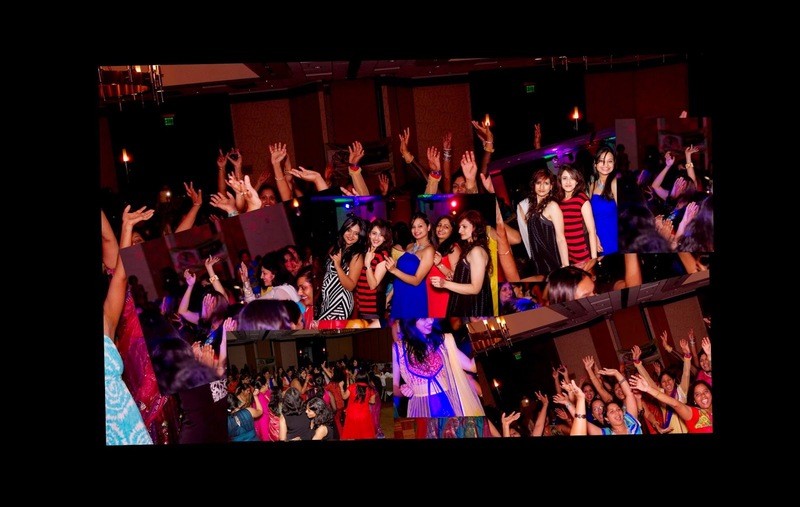 Nithya sang some high energy songs, dance floor was filled with all the ladies within no time. There was Fun Catwalk too. All ladies registered according to the dress they were wearing so it was Anarkali/Salwar Round then GOWN/Western round, Half sari/lehenga round everyone loved walking the ramp for few seconds and gave their best shot. There were random judges from among the audience who selected the best two, which was an impossible task. My favorite round was MOM-Daughter round where all daughters walked with their mother or mother-in-law. Madhuri Akula was a great host, she was on her toes all the time.She is a perfectionist ! She adds her personal touch to everything she does. I love her honesty and her positive energy and that energy is just infectious. She interacted with all the guests and made sure all were comfortable and enjoying themselves. It felt like a family get together! She also gave each of the 250 women a cute gift at the end, I received a packet of red sparkling bindis and a hair accessory. The Night flew by quickly, like all good things this party too came to an end. 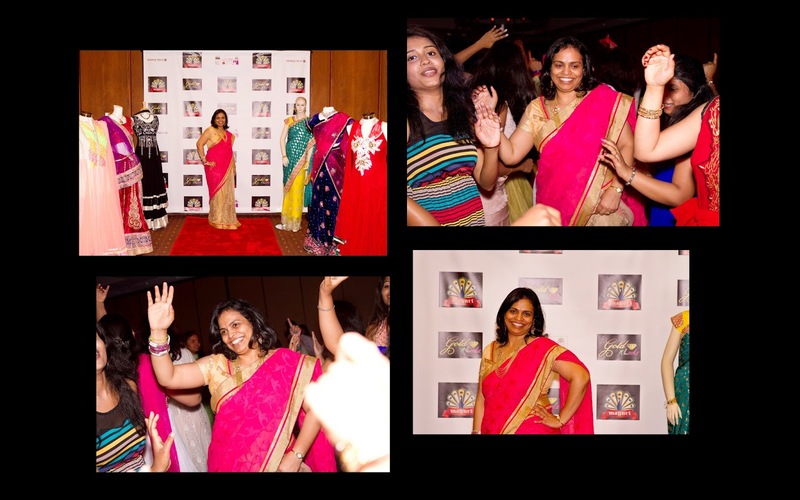 While we were leaving we thanked Madhuri Akula and Mayuri Family business for organizing this wonderful night where beautiful memories were built, new friends were made and....and let our hair down with no strings attached. I know you all will agree to this that being a women is so much of a task in itself ;-) Over that, managing job or business and the family will keep you so busy that, we tend to forget having fun or have that special ME time for yourself where you could be yourself and not worry about any of the life's hassles. We cannot thank Madhuri enough for giving this opportunity and organizing this event. Will look forward for the next Ladies Night which is planned for November 2014.
wow...seems it was great success...very descriptive Ananya. You must have had gotten the seniority in cat walk :) with all your Miss India WA prep....Would have loved to see some pics. Thanks Vidhya, wish you were there. Do attend the Next one. Yes will be uploading the pics soon, Sorry for the delay ! Thanks ! Yes thats true... enjoying my new work... Its fun attending all events ! Was thinking of calling you to check how the event was. Got the answer :). Looks like it was a night filled with fun! Wow! Looks like you had a wonderful time, Ananya. Such events are great for bonding! Thanks for stopping by Chaitali ! WoW Kiran. This is awesome and a tale of celebrating women.